With just around a month to go for the next iPhone launch, we have rounded up some specs and features that we may see with the next Apple device. Earlier this year, Apple’s next-generation iPhone was announced to come with the ‘Force Touch’ feature, which made a debut appearance with the Apple Watch and the new 13-inch MacBook. The inclusion was widely expected, and a report by analyst Ming-Chi Kuo of KGI Securities has confirmed its existence stating that the implementation of Force Touch on iPhone 6s might even add to the thickness of the device. 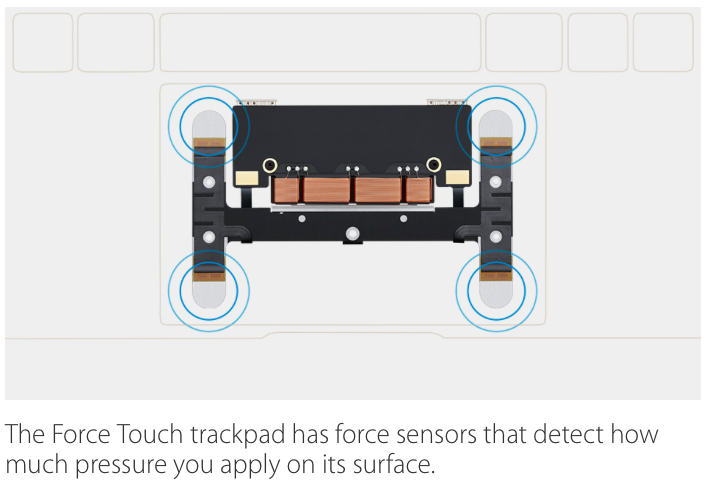 Force Touch is a brainy touch feature that senses the level of force applied on the screen. It uses tiny electrodes around the flexible Retina display to distinguish between a light tap and a deep press, which trigger instant access to a range of contextually particular controls. This feature adds the chance of embedding more gestures onto the device. 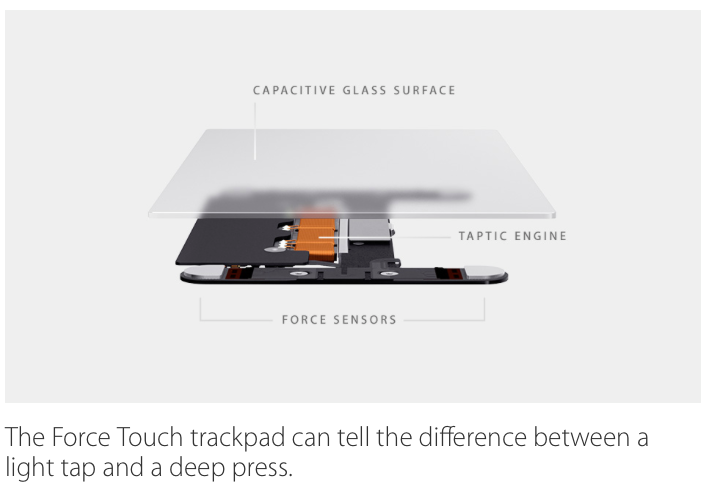 Kuo argued that Force Touch will lead to the forthcoming iDevice (tentatively titled iPhone 6s) being wider, taller, and thicker. It is speculated to increase the dimensions of the phone by 0.15 millimetres crosswise as well as in length and 0.2mm in thickness. As per Kuo, Apple will employ Series 7000 Aluminium, introduced with Apple Watch, on the next-generation iPhones. The custom metal is 60 percent stronger than the regular aluminium and has just one-third the density of stainless steel. We hear that a battery breakthrough will fuel the next iPhone, making it last long between two subsequent charges. The innovative battery was patented by Apple in 2012 but came into practice in 2015 with MacBook. The next-gen battery goes beyond the barrier of the conventional rectangular slab type and can take any shape. This battery consists of thin electrode sheets stacked on one another. These electrodes are cells of different sizes and are installed in the particular contours of the enclosure. This way, developers would be able to utilize the reserved battery space to embed an LTE chip. This arrangement gives 35 percent more battery cell capacity, using every single millimeter of space available in the enclosure. The technology is currently powering the super-slender 13-inch MacBook that has been engineered to give 9 hours of standby on web browsing and up to 10 hours on iTunes Movie Playback. By combining the same battery technology, the Apple iPhone 6s is expected to provide better battery cycles. 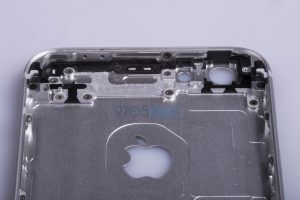 Aa batch of leaked images has hit the Web, purported to be of the iPhone 6s’ metal casing or chassis, thanks to 9to5Mac. As we can see in the pictures, the iPhone 6S is almost indistinguishable to both the predecessors in the terms of height and width. Unfortunately, the dual camera rumour will turn out to be untrue if these images are authentic. Differences in the internal mounting board also suggest of changes in chipset and quite a few more components. 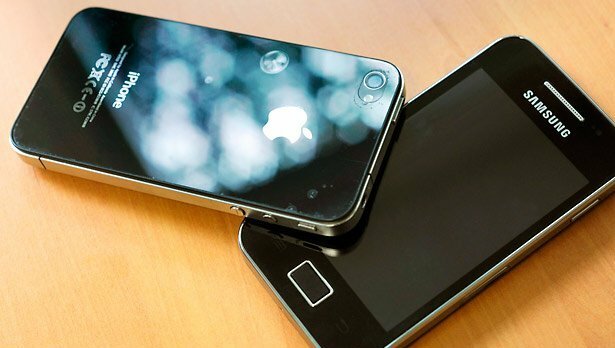 Few rumours suggested that there would be an antenna on the phone, but the metal casing proves this rumour to be false. 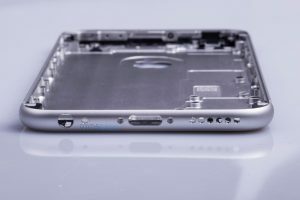 The rest of the components, like the lightning port, audio jack and speaker holes are in the same place as the iPhone 6. From the above details, it is highly unlikely that Apple will be going for a notable design change for the upcoming iPhone. Since the launch of iPhone 6, the company’s flagship has gone through a major makeover. 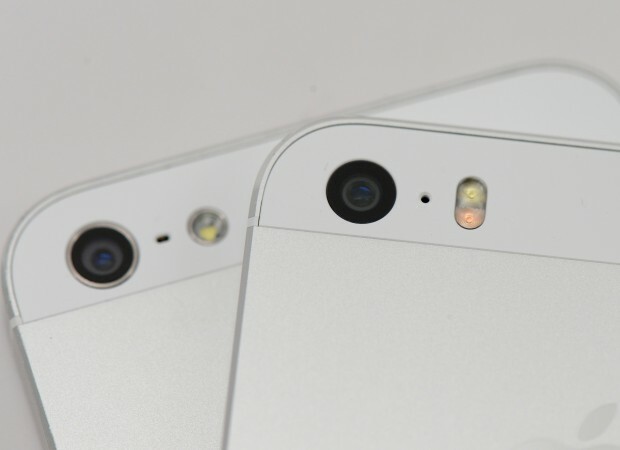 According to the leaks, the iPhone 6S will sport a 5 MP FaceTime camera, which is an upgrade from the 1.2 MP camera employed by the current version. If the leak is accurate, then we will be witnessing a surge in demand for high-res selfies. Moreover, the rear camera will be upgraded to 12 MP from 8 MP, with 4K video recording capability. The phone will also be able to capture slow-motion videos at 1080p resolution, up from 720p in the current versions. 4K video-recording is currently offered in many high-end smartphones such as Samsung Galaxy S6 and OnePlus One. However, what differentiates Apple from its rivals is the software it employs in iPhone to convert the raw data into a polished product. That is why budget filmmakers use iPhone to make short films (and features) even when there are alternatives available in the market. It looks like the world’s biggest rivals in the tech world may soon be announcing significant collaborations. According to the grapevine, Samsung will be producing Apple’s core chip for the next iPhone as well as displays of other Apple products. This sudden alliance was formed when Apple Chief Executive agreed to tone down the battle of patent suits against Samsung, thereby leading to this association. Samsung will be budgeting $14 billion dollars for setting up new plants and equipment for assembling Apple’s newest device parts. Samsung had used the latest SoC for their flagship Galaxy S6 and Galaxy S6 Edge. The chip uses 14nm technology whose standards are matched by Exynos 7420, Samsung’s home-made processor. The 14Nm chip is more powerful than the 16Nm chips that are standardly used in the company’s handsets. If rumours are to be considered, the expected iPhone 6s will be available in stores from 25th September this year, according to MobileNews. In an entertaining chain of events, Vodafone began sending out “Save the Date” e-mails to its staff and unwittingly leaked the release date of Apple’s next flagship. Surprisingly, there was no name mentioned about the next iPhone; it was just being referred to as the ‘new iPhone’. According to the source, pre-orders will start on 18th September, and it will go live physically on 25th September. 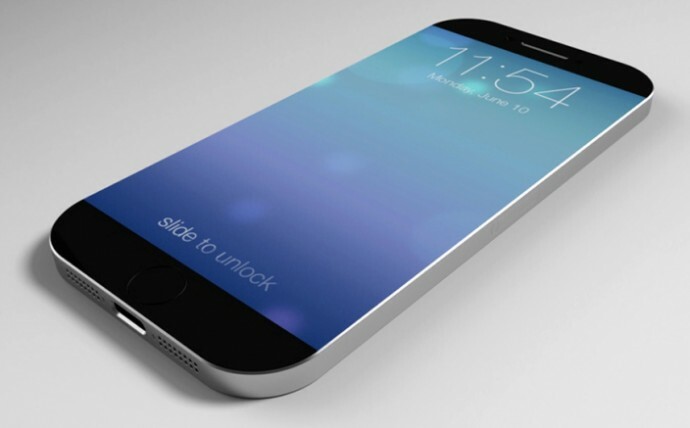 Even before this was leaked, we were somewhat confident that the iPhone 6s would be released in September. We guess Apple decided to stick to its long-standing tradition, as the last three flagships were released in September, in their respective years.